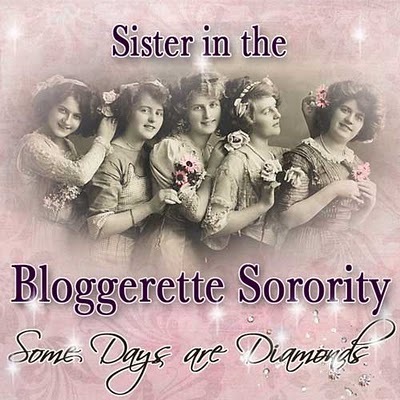 I just joined the "Bloggerette Sorority"
Yay! Welcome! Watch for something fun next week! Welcome sister! Thanks for visiting by blog! Looks like you celebrate my favorite holiday all year! LOL! We're sisters! And to think we were only button swappers yesterday-lol. Welcome to the sorority. Hi, from New Jersey! Glad to meet another sister!